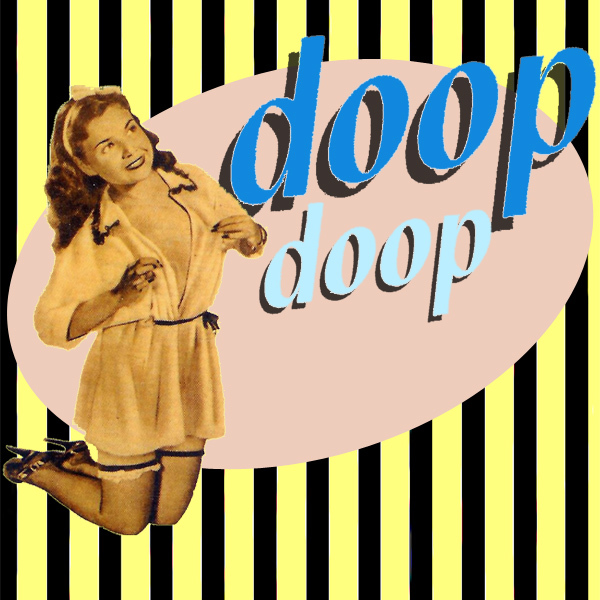 This remix of Doop by Doop is just a thinly veiled excuse to use a picture of a thinly veiled pin-up babe. Beyond that there's not much to add except to say, 'doop doop deeby dabby doo-doo-doop' ad nauseum until such time as the song is so deeply engraved in your brain that the only thing you can think of day, night and all times inbetween is doop and yet you don't actually know what doop means which makes it all the more doopy. Doop!